It seems that there is no way now to edit the title of an existing file-fragment. It is a temporal implementation. I’m going to add those features in coming versions. 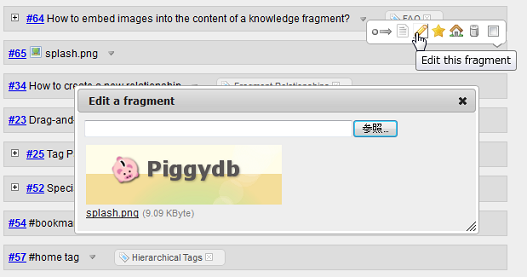 I also miss the ability to tag a file-fragment (like you could in previous versions), hopefully already on your list. Many thanks for a great tool! Thanks. It is also going to be re-implemented as well as the title in coming versions.